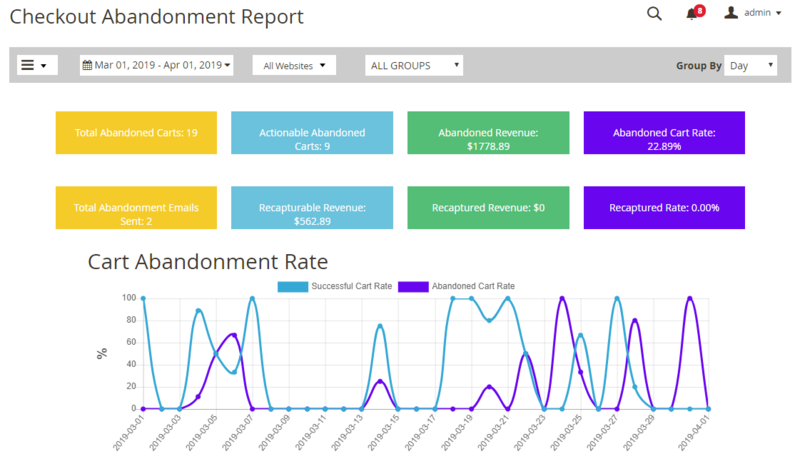 Cart abandonment is an action that consumers leave the website after adding a product to their virtual cart. Discount codes, Exit offers, and Security badges are some of the ways you can keep customers from recovering their carts. Send Email to Subscriber Only: Select Yes, only sending abandoned cart eamil to registed and subscribed customers. If select No, sending email to all abandoned carts of registed customers which are satisfy the conditions. Send After to change the email delivery time. The counting will be started from the last updated cart time, a reminder email will be sent to customers. Click the Send test icon to send a test email. 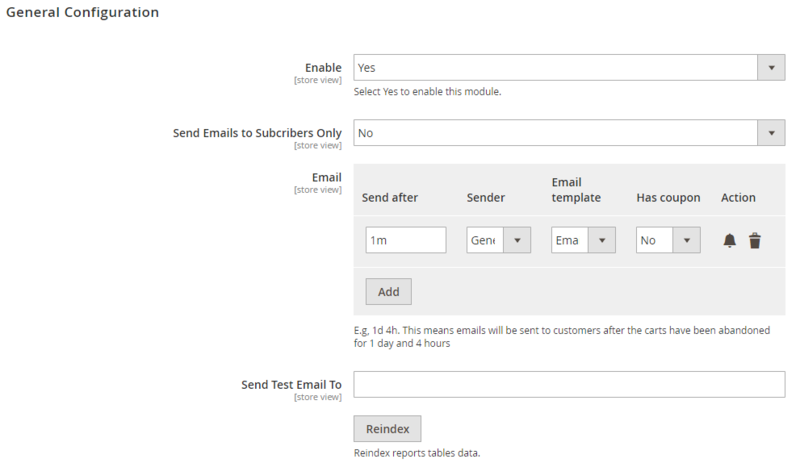 To send a test mail successfully, admin has to provide at least one email address in the field Send Test Email to. This feature is available for multi-stores also. Send Test Email To: This field is required only for the sending test email purpose. 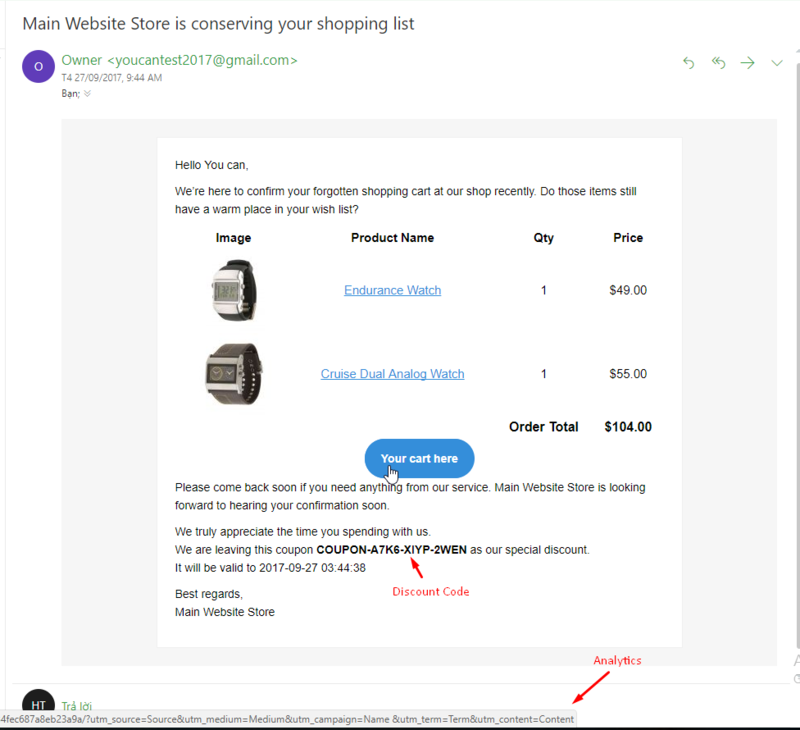 To guarantee that customers’ data will not be leaked, only the most recent abandoned cart’s information which belongs to a guest can be sent to this test email. Google Analytics is integrated with Mageplaza Abandoned Cart extension. 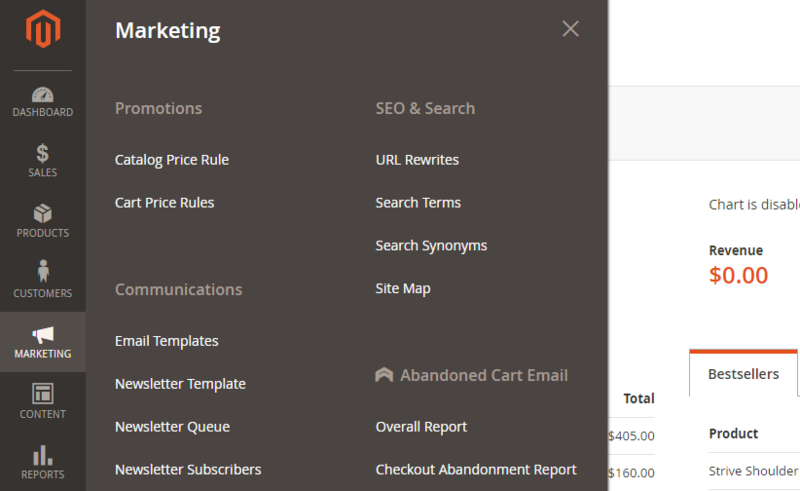 Go to Stores > Settings > Configuration > Mageplaza Extensions > Abandoned Cart Email and click on Analytics. In the Source field: the data of Source will appear in the Link back to Cart if it’s available. If you leave it blank, Source on frontend won’t be displayed. Go to Stores > Settings > Configuration > Mageplaza Extensions > Abandoned Cart Email and click on Coupon. In the Dash Every X Character field: Between each X, there will be the number of characters in the Code set in this part.